The prestigious Château Haut-Brion surprises by the number of first places it occupies in many situations. Created in 1553 by Jean de Pontac, Haut-Brion was the first wine of Bordeaux’s history to have the same name as the domain. At that time, the wines were sold anonymously. 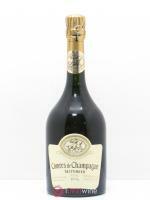 First chateau to practice techniques which are now unavoidable, such as racking or aging in oak barrels. 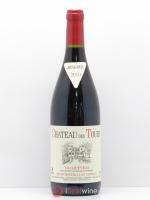 Therefore, it will be the only classified Grand Cru in the Graves appellation in 1855, and is number 1 of course! There is no small vintage at Haut-Brion, owned by the Dillon family since 1935. In 1983, the Dillon family bought La Mission Haut-Brion, Haut-Brion's neighbour. It is always exciting to compare the different vntages of the property. 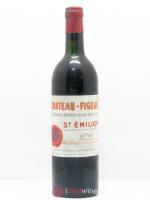 In great vintages, it is perfectly able to age for several decades. Some vintages, such as the 1961 or 1989, show the incredible potential of Château Haut Brion, one of the greatest red wines in the world. The second wine of the chateau, formerly called Bahans, is now called Clarence de Haut-Brion.